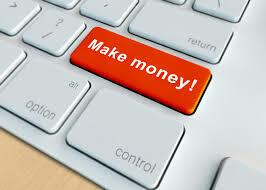 I know there are probably hundreds and thousands of articles about how one can make money online. Most of this articles do talk about legitimate ways of making money. However, I tend to find the usefulness of them is dictated by who is writing it. For example, if I see the author has not made a success online, how much weight is there to what he is writing about, since it has not really worked for him? With this, here are the top three ways I have made money online for the last five years, ranked in order of what has made myself the most bucks first. Hopefully, from applying my real-life examples to each one, it should ring home that the following ways do actually work, when done correctly, and should help to provide yourself inspiration to pursue one of the options. By far the best way I have made money online is through selling advertising on websites that gain considerable amounts of traffic. I am a fan of producing websites with great SEO and gain consistent amounts of traffic in the long run. The first of these was AskWillOnline.com, which helped me determine what was the next path to take: produce a content mill website (poemanalysis.com) and hire several freelancers to produce the content. The website has boomed with traffic and currently gains a EPM (earnings per thousand visitors) in excess of $7 using Ezoic Premium adveritising platform. Immediately, you can calculate that if you produce a website with let’s say, 500,000 visitors a month, you will be producing $3,500 a month. Considering content mills work on good SEO, that will be $3,500 every month for years and years. I won’t state just how much traffic the website is getting. But, let’s just say that things have been continually looking up for it! The point with this is that if you can produce a way to gain traffic and link it with a good advertising platform, it will make money. I know this will put many people off since writing a book can take a considerable amount of time. However, what many people do not realize is that, from creating a website with lots of content about a certain subject, you have in fact turned yourself into the brand awareness of an expert in that field. Therefore, if you have the time to produce a book and advertise it on the website, as well as through the likes of PPC, then people will buy it. This is exactly what I did with ‘The Layman’s Guide To Mamod Steam Engines’, which has sold thousands of copies in a very niche target market. What is great, as well, is that the sales of books do not tend to dwindle either, especially if the content is not time-dependent – a steady income, again, for years and years. Affiliate marketing is a tremendous way to make money, when done appropriately. It is far too common to see people dress up products as amazing, just to get commission off of the sales from the mis-informed web users. I did not try to affiliate market. In fact, I did an honest review of two websites online to being with, which turned out to have gained a lot of traffic. The fact it was honest and still is honest is extremely important, as reviews are all about trust between the person writing the review and the person reading it. After realizing that I could make the links I already have in the article to each website’s affiliate links and state such in the article, it turned out to produce revenue. With the websites also monthly subscriptions, it has turned out to make a lot of recurring revenue every month, on top of new people still signing up. It’s just one example of the numerous articles I have produced for affiliate advertising. But, at the end of the day, honesty is key to this form of revenue – don’t let commission push you to altering your view. Once it does this, the whole review is futile.